Principal Investigator, Research Project “Efficiency and complementarity of transit subsidies, dedicated bus lanes, congestion pricing and other engineering and design measures”. Research grant 1161032, FONDECYT, Chile. Principal Investigator, Research Project “Is road capacity expansion a self-defeating policy? An economic analysis”. Research grant 1130133, FONDECYT, Chile. Key Researcher at the Millenium Institute “Complex Engineering Systems”. 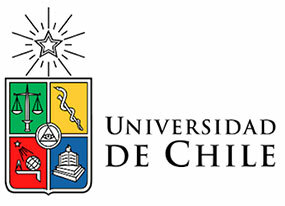 Research Institute funded by Iniciativa Cientifica Milenio, MIDEPLAN, Chile. Principal Investigator, Research Project “Transport Gateways: Analysis of Competition, Regulation And Market Performance”. Research grant 1090187, FONDECYT, Chile. Principal Investigator, Incentive to International Cooperation Project, “Privatization and Regulation of Airports: Economic Foundations for Public Policy”. Research grant 7080085, FONDECYT, Chile. Principal Investigator, Research Project “Privatization and Regulation of Airports: Economic Foundations for Public Policy”. Research grant 1070711, FONDECYT, Chile. Junior Researcher with the Millenium Institute “Complex Engineering Systems”. Research Institute funded by Iniciativa Cientifica Milenio, MIDEPLAN, Chile. Co-researcher in the project “An interpretative survey of gasoline consumption demand by passenger automobiles: Focus on short and long run price elasticities”. Transport Canada, Policy and Coordination Branch, Economic Analysis Division.